I don’t believe there is a smell or a taste as heavenly as a perfect cup of fresh coffee. 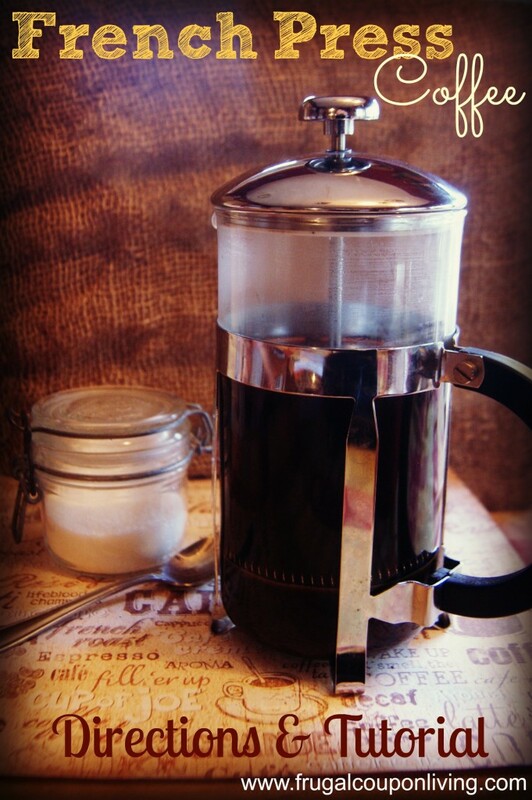 To create the perfect cup, knowing how to use a French Press is a must! This method gives you the most full bodied flavor that is pure and lacks the paper filter flavor. If you think there is no difference try it this way, just once. If you are truly a coffee connoisseur you will be able to tell quite a difference. There are many types of French Press’s at many price points, but really, other than for aesthetic reasons you only need a simple one like the press found here. In my opinion the two most important things to remember when preparing your coffee in a French Press are grind and water temperature. First, Grind. If you want to extract the right amount of flavor from the beans I recommend using a medium to coarse grind. The optimal choice is to grind your own fresh beans at home with a quality coffee grinder. You will definitely want fresh beans as well. Store your beans in an airtight glass container in a cool, dry place. Do not store in freezer or refrigerator as the moist environment will quickly make your coffee stale. Buy only what you will use within the next week or two. Next, Water Temperature. To achieve that perfect cup you want a water temperature between 195 and 200 Degrees Fahrenheit. Allow the water to just come to a boil. Remove from heat, if you really want to test the temperature with a thermometer like this one. Step 1 – Place coffee in press pot. Use 1 Tbsp. for every 4 oz. of water. Step 2 – Add water, make sure to saturate all the grounds as you pour it in. Step 3 – Set a timer for 4 minutes. Step 4 – Place top on press, make sure mesh is in straight. Step 5 – After 4 minutes, Press the plunger down slowly, it will give some resistance. Go all the way down to press grinds. Step 6 – Pour into your favorite cup. Hold the top to avoid getting grounds in your cup. Immediately remove all coffee from press, if you let it sit any longer it will quickly become too bitter. Either make it one cup at a time or pour it into a thermal carafe to keep warm. To clean your French Press, dump the grounds into trash or, even better, into your compost. I recommend pulling the pieces apart and rinsing very well with hot water between uses. Every other day or so I add a drop or two of dish soap to remove the oils coffee leaves behind, rinse very well after this to remove all soap traces. A French Press, grinder, spoon, and a bag of fresh beans would make a lovely Christmas basket for any coffee fanatic in your life. FREE Coffee K-Cup Recipe eBook. Find more Pinterest Ideas and Recipe Ideas on Frugal Coupon Living.